You might know Hong Kong as the mother of Bruce Lee, and as one of the most densely populated areas in the world. 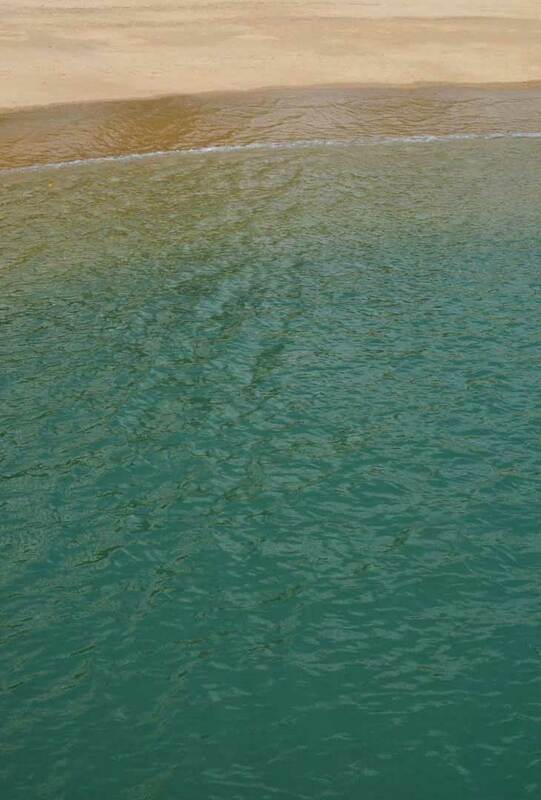 But did you also know that Hong Kong has beautiful natural spots and pleasant beaches? 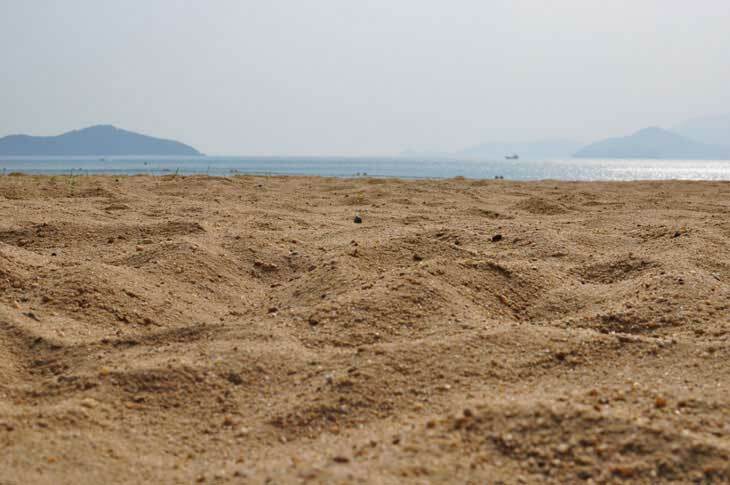 Hong Kong has around 40 public beaches. 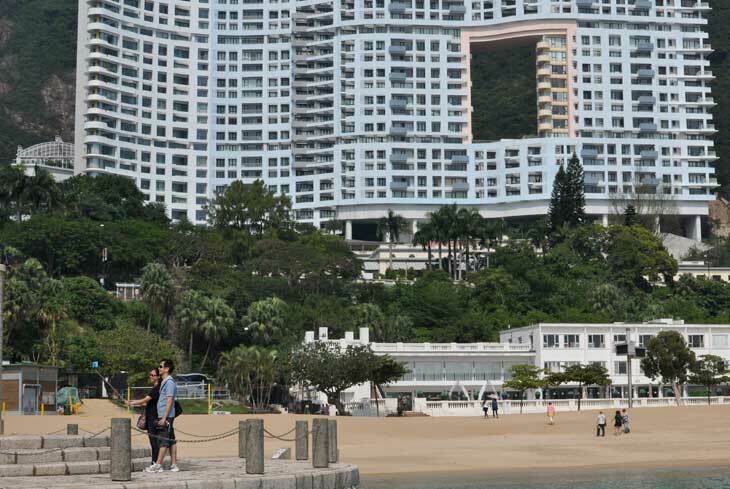 We went to check out Repulse Bay which, despite its name, is a highly un-repulsive place to spend a day, and escape the Hong Kong bustle for a while. 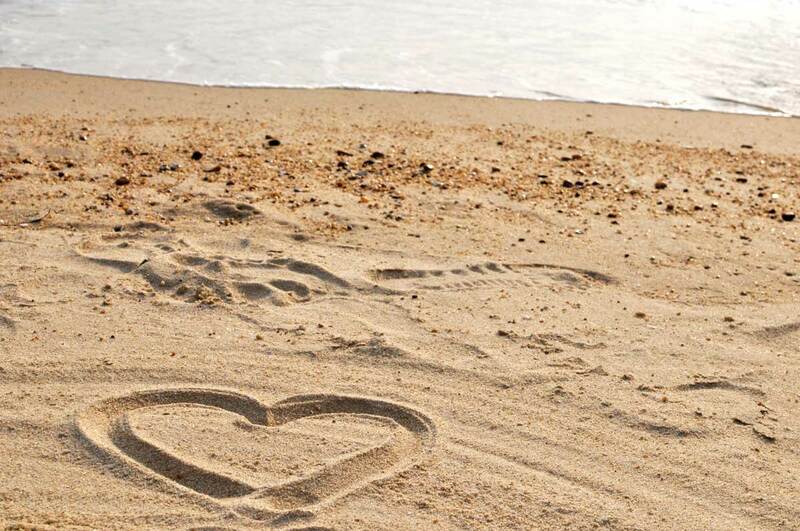 The beach is man-made and does not compete with top-notch natural beaches, but for a city beach, it’s a great escape providing you with a dose of beach and salty water. 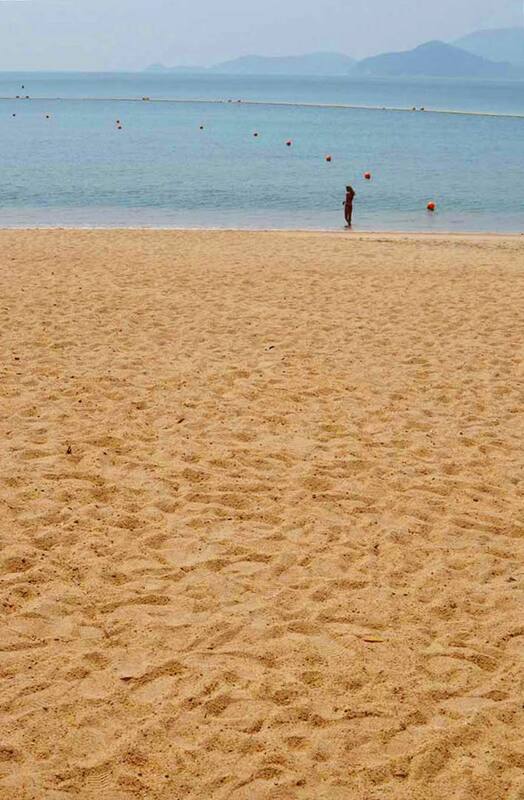 …that supply the beach with a new set of photo-tourists every 10 minutes. It’s quite fun to witness, actually. Most groups only stay 10-15 minutes. 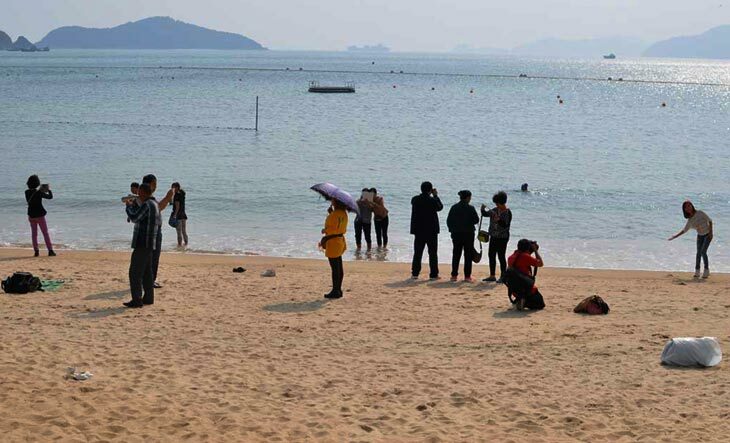 Fully dressed from top to toe in city clothes (probably a necessity in the overly cold aircon busses) and armed with smartphones on selfie-sticks and big cameras, they go to the beach not to enjoy the beach life, but to take beach selfies and group photos. In a whiff they are gone only to be replaced by the next arriving tour bus. 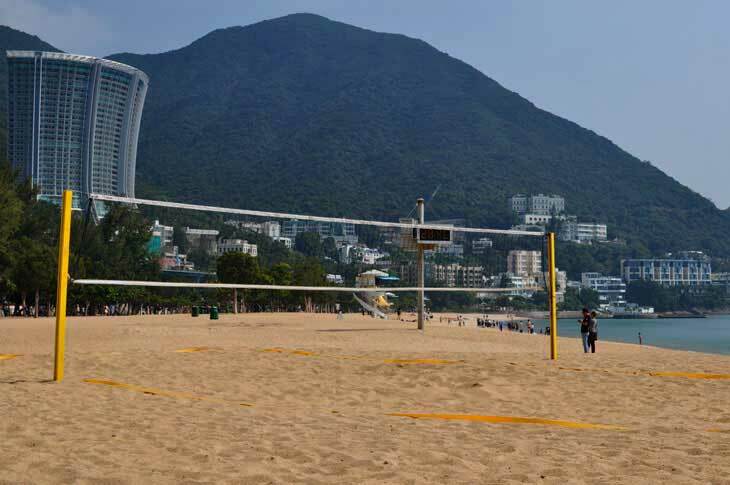 Repulse Bay is a famous beach so it can only be expected that it is included in the itinerary of Hong Kong day tours. 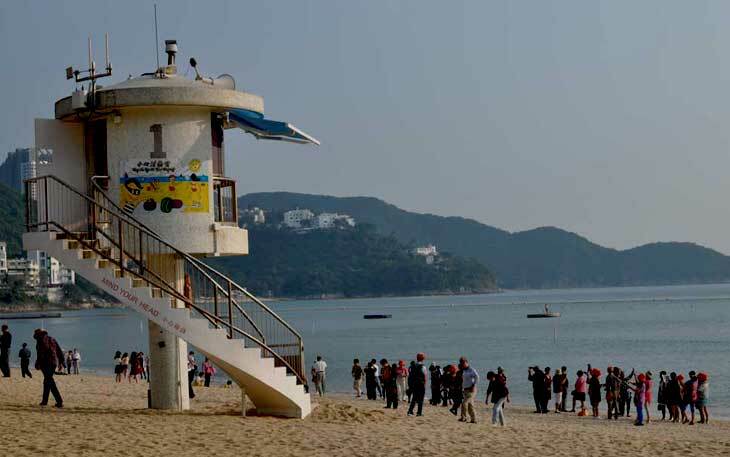 Repulse Bay is a popular place for tourists to take selfies and beach photos. Previous postWhy is Tourism Sustainability a Contradiction?